Affordable country living at its best. 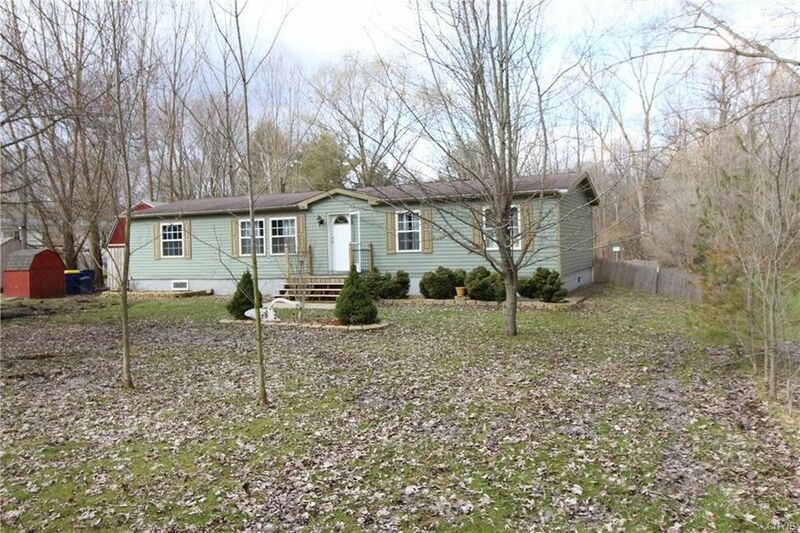 This 3 bedroom 2 full bath ranch is nestled along a quiet country road. The 1.2 acre yard has no residence behind and is fully fenced. Features include cathedral ceilings, open floor plan, eat-in kitchen with center island and breakfast nook, two story 16 x 16 storage shed, formal dining room, covered rear porch, high speed access, and private rear yard. Improvements include new kitchen cupboards, updated baths, updated plumbing and lighting fixtures throughout, replacement windows lifetime warranty, and 95% high efficiency furnace. Less than 5 minutes from cross lake and under 30 minutes to downtown Syracuse. Weedsport Thruway exit is just 7 minutes away. Directions: From Village of Jordan: East on Route 31 to River Road, Left onto Jorolemon Rd. to slight right onto Slab City Road - go approximately one mile...house will be on the left.